Introducing our MAP line of Laser & CNC cut model airplane kits. Our kits will range from Free Flight to R/C Sport, R/C Scale, Electric, Glow and Turbine powered kits! Keep checking back to see what we've added! 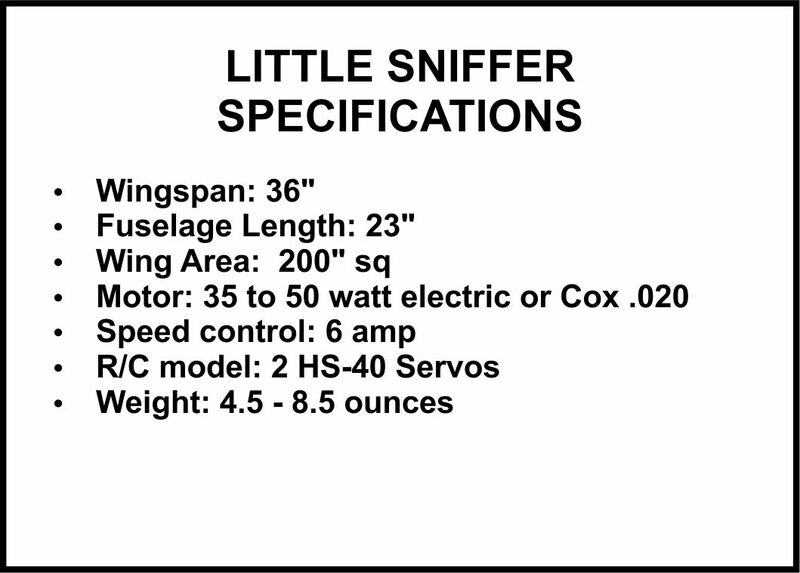 The original Sniffer was kitted by Midwest in 1952. It had a 29 1/2" wingspan and a Baby Spitfire glow motor for power. Our model has been enlarged to 36" wingspan and with free flight and RC options. You may use electric or glow for power and a single to three channel radio. Included, are all the parts for either a free flight or an RC model. A wood wheel kit and rare earth magnets for the hatch are also included. On the RC model we are using a flat stabilizer, while on the free flight, the original lifting stabilizer is used.